Many of our Park West collectors develop friendships with the art teams over the course of their land or sea vacations. Here’s a chance to get to know one of our auctioneers better as she shares some of her favorite adventures in the art world. Denys Dixie is young, bright, and exceptionally adventurous. For this successful Park West auctioneer, working aboard cruise ships is more than just a career, it’s an incredible lifestyle. After hopping on board with Park West five years ago, Denys has never looked back. With over a dozen ships and hundreds of auctions under her belt, Denys is rising through the ranks of Park West’s most ambitious and knowledgeable auctioneers. Park West auctioneer Denys Dixie (Photo courtesy of Denys Dixie). Denys: Ladybrand, Free State—a very little town in the heart of South Africa. 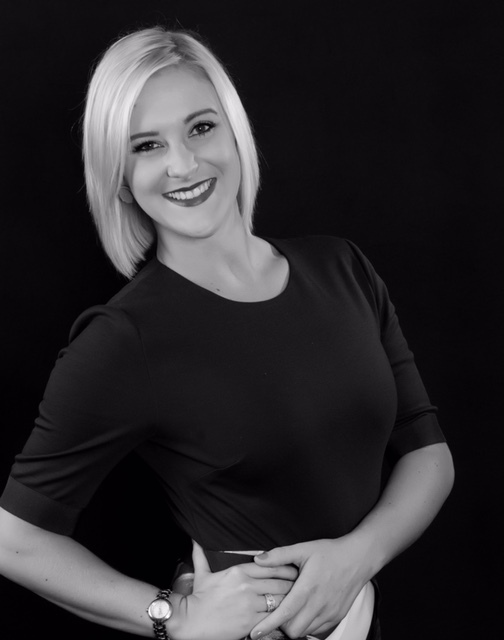 Denys: I started my career alongside Park West in 2013, becoming an auctioneer after just one contract. However, I started my love affair with art at the age of 7, guided by the South African artist, Corner Eksteen, a teacher who instilled passion from the onset. Prior to working with Park West, I was a manager for a busy club in Grahamstown, South Africa—all while studying fine art full time, and then later receiving my teaching certification through Rhodes University. Park West provides the perfect balance: art, travel, and passion. 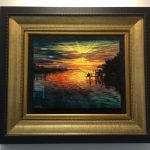 Overall, the company has laid the foundation for my success as an international art auctioneer, and fueled my passion as a collector and artist myself. I love what I do! Denys: I must admit, my studies in fine art have instilled a deep-seated passion for the masters—Picasso will always be a prelude to my art enjoyment. 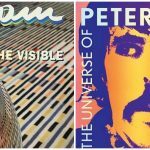 Although, in my own art collection, color has become a part of my personal flair, so I also enjoy Slava Ilyayev, Peter Max, and Yaacov Agam. Denys: It took some time to think about this question—I simply cannot answer with just one memory. In the past five years, there have been so many collectors that have humbled me, made me laugh, made me cry, and made me appreciate my life and career. It’s impossible to choose one family, couple, or individual. So many people have opened their hearts and homes to me, and all these little moments have made me a richer person today. Auctioneer Denys Dixie enjoying a day in Greece (Photo courtesy of Denys Dixie). Denys: The old city of Tallinn, Estonia. I absolutely love Tallinn’s hog stews, honey ale, and cobblestone streets—not to mention the smell of roasted nuts on every corner paired with traditional music. I will always hold this city dear. Denys: Most of my adventures back home are shared with my best friend—my sister, who always wakes me up with a coffee. Mornings include breakfast with my very large, extended, and sociable family, followed by waterskiing on the lagoon near our holiday home. We spend time taking trips up the river, going to the beach, driving into the bush, hiking, and wine tasting. As a very “outdoorsy” family, we scrap the heels and evening dresses, and instead, light a bonfire, enjoy great company, and a have a good glass of wine. Please tell us about your experience being an auctioneer aboard the Explorer of the Seas. Denys: I just recently joined the ship. This is an exciting time for me as there are always new adventures, new people, and new ideas to come across. So I look forward to the memories that lie ahead. I never thought I’d ever be an art collector, however, after meeting Denys on a cruise and having a fantastic auction experience I now have some great art. Denys and Megan Fisher were so incredibly helpful! Another South African – it cannot be coincidence that you have so many adventurous South Africans in your collection. Denys was my FIRST Park West Auctioneer. I totally fell in love with art due to Denys and Park West auctions aboard ships. 90 pieces, and one land event later – still collecting. Denys – THANK YOU !! !